Love Letters began life as a single set of gift cards for a good friend a couple of years ago. While hunting for a very special personal gift, it became clear there was a gap in the market for bespoke stationery and original paper products that have a personal touch. Our range has expanded a bit since then but our goal continues to be to create and produce products that are fun and original to the South African market. All our products are imaginative, original, excellent quality, and just plain gorgeous and are aimed at the individually-minded customer who wants something special and not mass-produced. Most of our products are packed, cut, punched, wrapped, strung and stuck by the very small team here at Love Letters HQ, so you know the product you get is handcrafted with love. And the products that aren’t created by us, are chosen by us for their original, just-gotta-have-it-ness. We focus on efficient service and good communication with our customers, who have placed a lot of trust in us by ordering a product they haven’t seen from someone they don’t know. We recognise this and take pride in the personal relationships we form with our customers. We are always working on developing new imaginative products, and our website is updated often so please keep coming back! 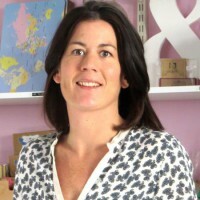 Bridget’s background in design and her passion for stationery led to her founding Love Letters in 2009 from her home, having spent many years in a large corporate environment. Her talent is creating fun, unique and affordable products for the business, and an A-type personality means she is also pretty focussed on ensuring our wonderful customers remain happy. Blessing is our quiet gentle soul in the office, who has a wicked eye for detail and efficiency. Blessing can do anything in no time and never takes a break. She keeps the team in check and is always happy. She does everything from admin to production to changing light bulbs if needed and we wouldn’t cope without her! Asanda is the wild one in the office – a big sense of humour and with a lot to say. Nobody can do logistics quite like she can. Asanda manages the packing and delivery side of the business and also assists Blessing with production.